How do you know which sizes to use? 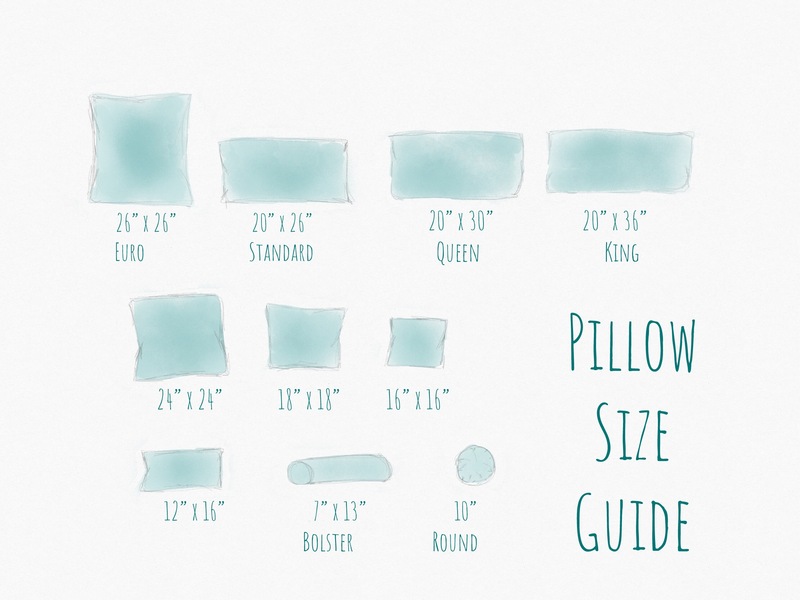 Well, a general rule of thumb is to start with a 24” or 22” square pillow, then layer in 20” or 18” squares. You may want to throw a 12” circle accent or lumbar pillow, too. Using a variety of size and shape gives visual interest and dimension to the piece you’re decorating. 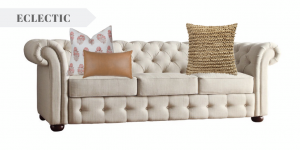 While you want to start big, make sure you don’t choose a base pillow that overpowers the size of your sofa. And as you layer smaller pillows, they can appear kind of dinky in comparison to the larger base. Aim for a harmonious flow from one size to the next. While matching patterns makes the task easier, incorporating a variety of patterns materials elevates the vignette and appears more intentional. Usually by the time you’re adding throw pillows to your design, you’ve established the mood, style and color scheme of the space. Work with your color scheme to find the right accent colors but add solid pillows and patterned pillows in a few different hues. Textured fabric is a subtle way to introduce some pattern play into the mix, as well (linen, faux fur, or hand-knotted / knit textures). Pro Tip: Certain materials and pillow fillings appear more or less formal than others. Keep this in mind when you’re searching for pillows. A throw pillow with fluffy down filling creates a lush and casual feel, while synthetic fiber filling is more structured and formal. 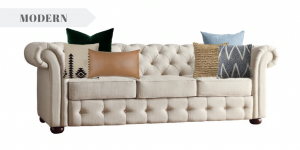 Depending on your style and mood for the space, there are a few different basic throw pillow arrangements for a sofa. What’s great about throw pillows is how versatile and dynamic they can be, meaning you can switch up your arrangement whenever you want. However, we’re going to look at the tried-and-true methods for trational, modern and eclectic design. Traditional design often follows a symmetrical rule of thumb, as you’ll see in the first image above. Start with matching 20” or 18” pillows on either side of the sofa, then opt for a 16” square or a 10” round pillow in front. A traditional vignette will also limit fabric and pattern choices to a minimum. You CAN have fun layering a simple pattern with something busier. A good example of this would be plaid or striped pillows at the base and layered with a floral or damask. Modern throw pillows are much less matchy-matchy. Decide your color scheme and run wild with patterns, texture and sizes. Fill your sofa with throw pillows if you have that modern feel in your home. It’s cozy and upscale, welcoming and intentional. 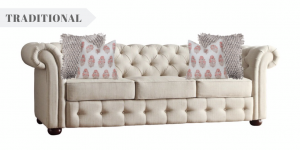 In our example, we did three pillows on either side of the sofa, but you can add or remove some on either side. You can feature a bolster directly in the center, too. Eclectic throw pillow arrangements are a happy medium of traditional and modern designs. Feel free to match some patterns and colors, while switching up sizes and shapes. You’ll usually see eclectic vignettes are NOT symmetrical in numbers. However, you can fake balance by featuring one large pillow on one side and two or three smaller ones opposite. Most of us don’t want to pull of dozens of pillows when we’re getting ready for bed. But you can still decorate your bed using pretty and functional pillows. Fit for a King— begin with 2 king pillows. 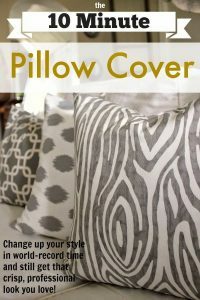 Add 3 euro shams (aka- large square pillows). Layer 2 more king pillows and one small lumbar or bolster. 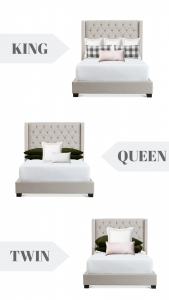 Queen Bee— stack 2 standard pillows on both sides of the bed (total 4 pillows). Accent with 2 throw pillows at the front of the stack, using squares, rounds or bolsters. #Twinning— stack 2 standard pillows, then layer on a euro sham. Finish with 1 or 2 small accent throw pillows. Follow similar traditional, modern and eclectic guidelines from the living room when finding patterns and styles. 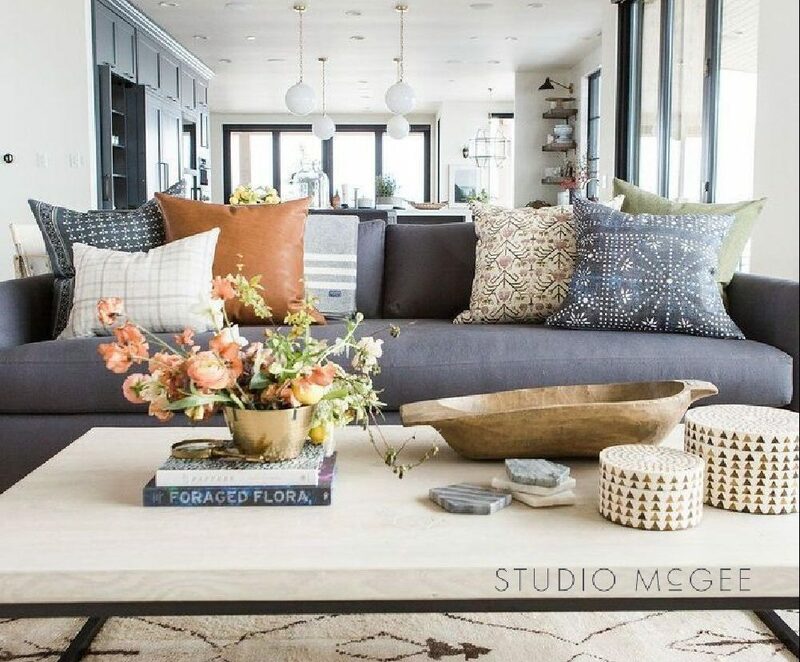 For another great throw pillow guide, head over to Studio McGee’s blog! What better Do-It-Yourself tutorial than Design-It-Yourself throw pillows! In this quick how-to, you’ll be able to add to your living room or bedroom vignette with handmade pieces. In Creek Line House’s 10 Minute DIY Pillow Cover, even beginner sewers can throw one of these pillows together. Measure 10” in from each end and mark your fabric on the wrong side (the side that doesn’t show the pattern), leaving a 16” center panel. Fold at the 10” mark and iron (also fold 1/2” on either end and iron toward the wrong side for a finished edge). 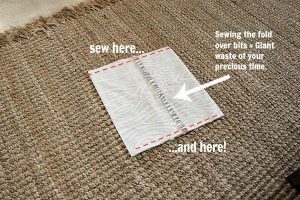 Fold the 10” panels with the wrong side out, and sew the top and bottom seams. 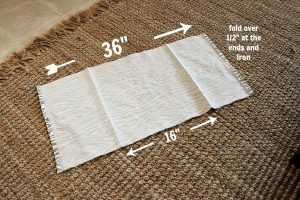 *If you want to make different sizes, adjust the width of the fabric to the desired width + 1 inch. So if you’d like an 18 inch pillow, cut your fabric to 19 inches wide. 20” pillow = 21” wide fabric. And so on and so forth. Enjoy your new throw pillows!